Once upon a time, “hacking” specifically meant using computers and other technology to engage in skullduggery that was illegal more often than not. During the 1990s, the term evolved to mean exploring technology to optimize its effectiveness. These days, the term “hack” has evolved to mean optimization of any kind. 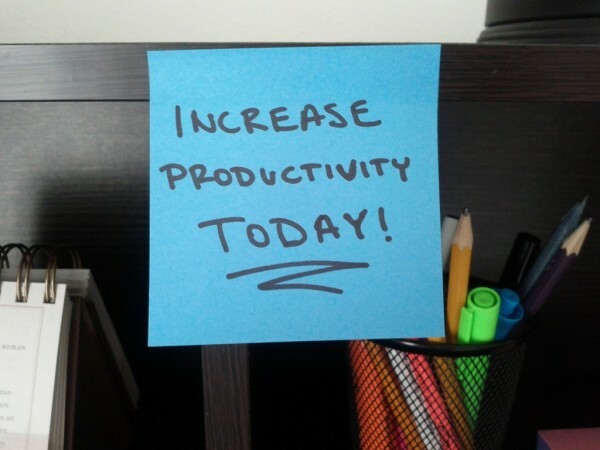 What hacks can you use to maximize your productivity every day? 1. Get to work early. Showing up for work an hour early pays off in three ways. You start your day with nobody around, which means fewer distractions. When people do show up, you’ll be “in the zone”—and a less likely target for start-of-day small talk. Finally, you’ll be done with your work an hour ahead of time, which means missing rush hour on the way home. 2. Stay awesome. Apply Barney Stinson‘s basic rule here: If what you’re doing isn’t awesome, stop doing it and go do something awesome instead. In this case, “awesome” means accomplishing your key goals for the day. Once you’ve accomplished your major tasks, you can spend some time on all the smaller stuff—especially if that smaller stuff sets you up to be awesome at your goals for tomorrow. 3. Spring for a second monitor. If you work on a screen, you can improve productivity simply by adding a second monitor to your workstation. This doubles your space for reference documents, second drafts and any other material, so you don’t have to switch between multiple windows every time you need to look something up. 4. Carry paper with you. If you show up in these conversational no-man’s-lands empty handed, you’re exponentially more likely to get pulled into a time-wasting gab fest. Employees know you’re busy, but a simple report or printed letter in one hand marks you as such, signaling to colleagues to keep their chit-chat to a minimum. 5. Disable social media. Comedian and motivational speaker “Ze Frank” likens social media to an informational crack pipe. Though a little social media every day can help improve your business reach and personal life, you should schedule that time for specific periods during the day. Otherwise, you risk tiny one-minute posts, comments and updates adding up to hours of wasted time each day. If you can’t help yourself, install a program like Anti-Social or Cold Turkey to disable your social media while you work. 6. Follow the two-minute rule. If a task comes on your plate that will take less than two minutes to complete, start to finish, just do it. This keeps your list of “I’ll do it later” tasks from piling up into an intimidating mass that takes a whole day to complete. If you hold yourself to this rule, be careful about when you open yourself to new ideas and tasks. Otherwise, you’ll be interrupting your awesome rule to make time for those two-minute excursions. 7. Flip a coin. Often, procrastination is a symptom of indecision—you don’t start on a project because you haven’t decided yet how you want to do it. When faced with a choice you’re having trouble making, flip a coin. This forces you to decide in a few seconds what you could otherwise stall on for weeks. Don’t necessarily accept the coin’s decision—if the result of “heads” makes you want to cheat, that reveals the decision you’ve been wanting to make all along.